If you are facing personal injury due to the negligence of a doctor, nurse, health care provider, hospital, or any other medical care facility, it is important to contact a personal injury attorney in Houma, LA immediately. 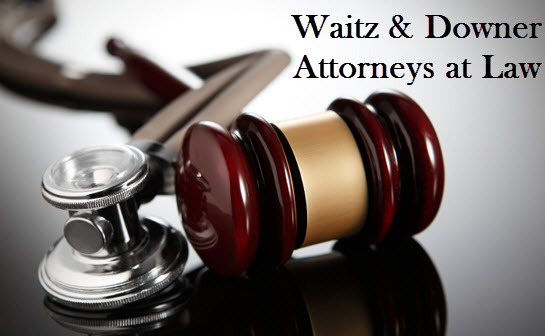 Contact Waitz & Downer law office today if you have been injured due to the negligence of a doctor, nurse or medical facility throughout Louisiana. Attorneys at Waitz & Downer are experienced in representing individuals who have been injured due to medical malpractice of a health care provider and will thoroughly investigate your claim and assist you in obtaining just and fair compensation for your personal injuries and losses. To schedule a free confidential consultation to discuss your claim with an experienced law firm who has handled thousands of personal injury claims and has a team of lawyers specializing in the area of injury law, please call us at 985-876-0870.